You can never have too much range time, or too much 9mm ammunition, and the two do tend to go hand-in-hand – or hand-on-gun. We all know we can’t improve our marksmanship without practice, and that means more than putting a few dozen rounds down-range once a month. In order to become a truly proficient shooter, you need to put thousands of rounds through your gun, and you need to focus when you do it. 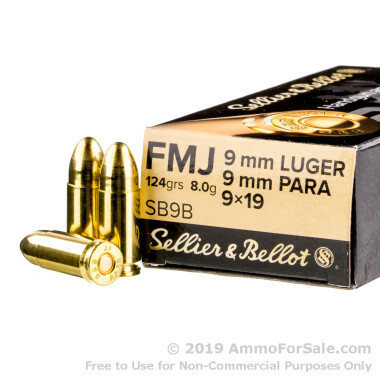 If you want to hone your own skills, get your hands on a big box of ammo like this 1000-round case from Sellier and Bellot, and, yes, spend it all in one place. 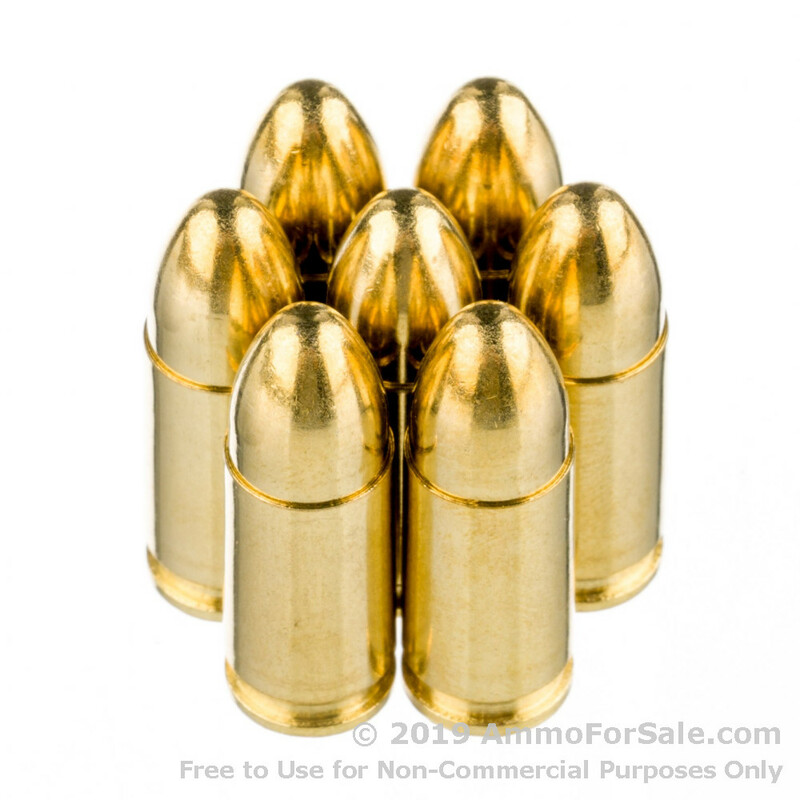 At 124 grain these are at the high end of the lightweight scale for the 9mm cartridge. They’re fairly light, so they’re going to move fast and shouldn’t increase your recoil noticeably, and they’re also heavy enough to punch a nice hole in stationary targets. They’re FMJ rounds specifically designed for target practice, shooting drills, and plinking; as with any range time, know your target and what is beyond it. A good backstop is a must. Each of these rounds zips from the barrel of your gun with a muzzle velocity of 1181 feet per second and makes its mark with a muzzle energy of 384 foot-pounds. 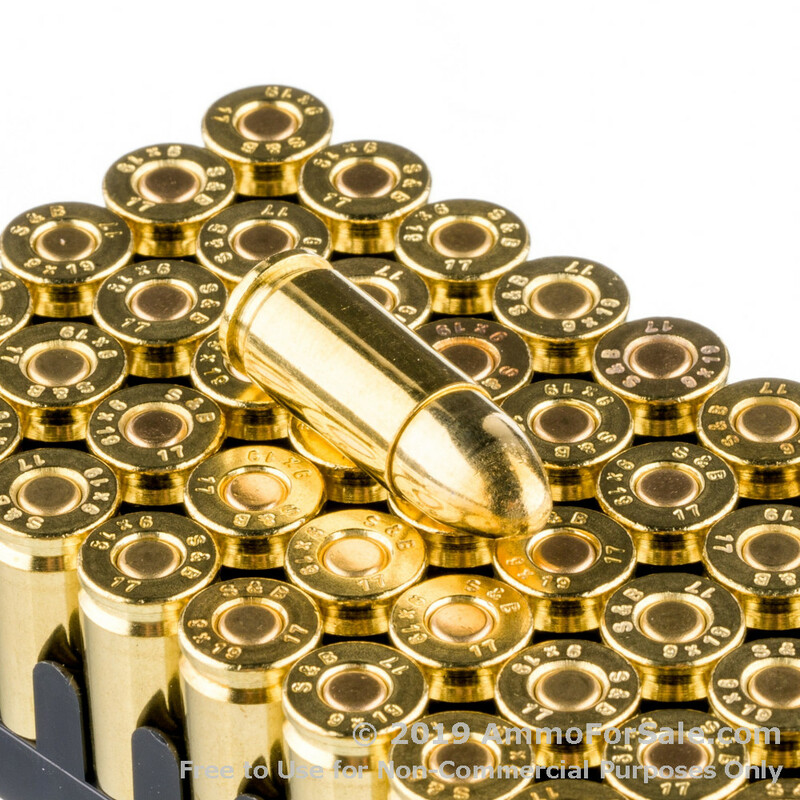 And to make this an even better deal, these are reloadable fresh brass-cased rounds with boxer primer. Remember, you get 1000 target rounds in this case. 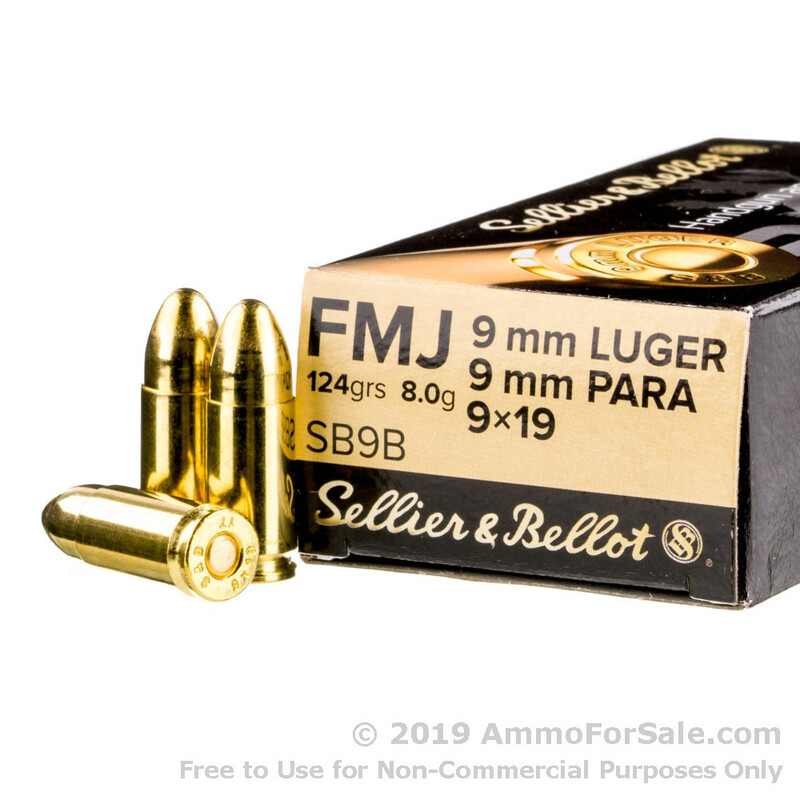 This ammunition is made by Sellier and Bellot, a company with almost 200 years in business and serious skill for producing quality rounds. Production takes place at their plant in Vlasim, Czech Republic, and all ammunition meets SAAMI or CIP specifications as well as the company’s own stringent standards. Just because you’re buying target rounds doesn’t mean you should skimp on quality, and with this ammunition you get quality and reasonable price all in one. Isn’t it time you gave your 9mm a substantial meal? Place your order now and feed your gun, and then feed it some more. never used 124gr 9mm in my glock before and it never skipped a beat even under rapid fire. At $195, this was a great deal for a case of 9mm. High volume shooters, don't slack on quantity. Better to buy a lot in a short time than a little over a long period of time. Keep the deals coming, AFS! The price is awesome and the reliability is great. Shot a bunch of this thru a S and W and a FNH. Worked great in both guns. Will be buying more of this.